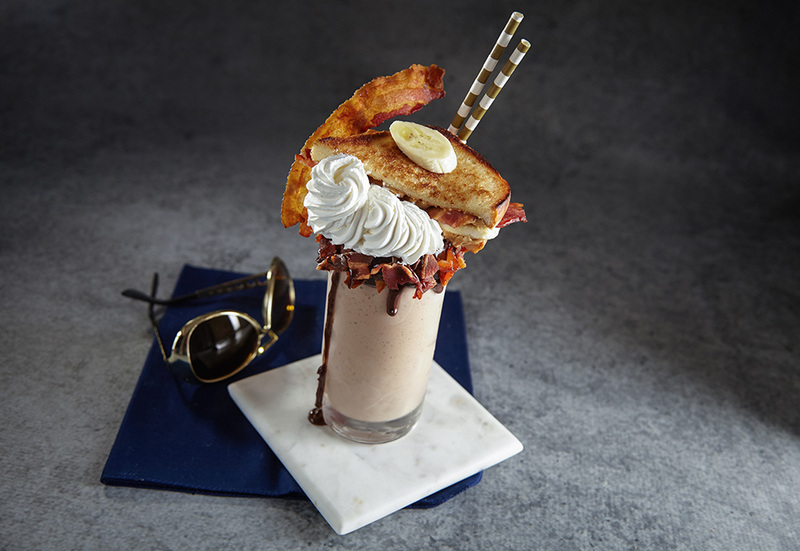 Peanut butter ice cream blended with fresh bananas, crunchy bacon and a fudge drizzle, served in a fudge and bacon-rimmed glass with a mound of fresh whipped cream and a full-sized toasted peanut butter, bacon and banana sandwich. 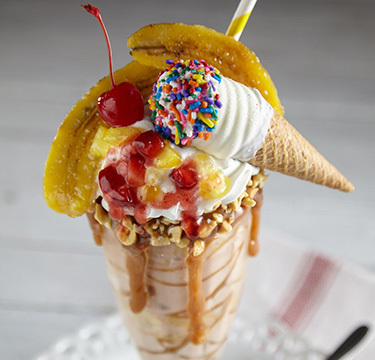 Place ice cream, whole banana, cooked bacon, 2 Tbsp chocolate fudge sauce, and whole milk into blender; blend until smooth. Rim a 16 oz pint glass with ¼ cup chocolate fudge sauce and chopped cooked bacon. 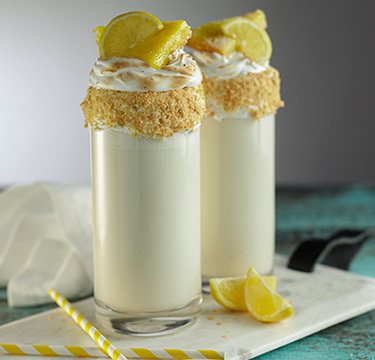 Garnish shake with whipped cream topping, banana slices, and toasted sandwich. Spread mayonnaise on one side of each piece of bread. 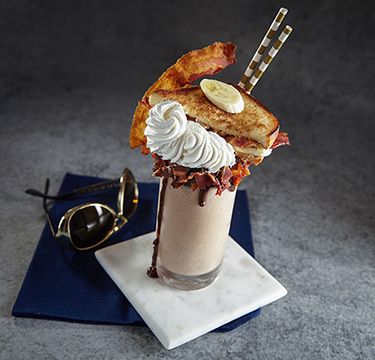 Lightly spread peanut butter on plain sides of each piece of bread; layer with sliced bananas and crispy cooked bacon strips; close sandwich with second piece of bread. In a pan or on a flat-top, toast sandwich on each side until golden brown. Allow to cool. Cut sandwich in half diagonal from corner to corner; set aside for use in final dish. Add an extra slice of cooked bacon as a garnish for a greater first impression.